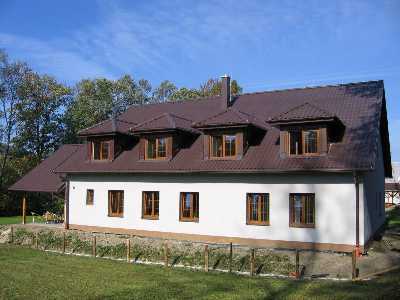 The guest-house is situated in the BESKYDY NATURE RESERVE, at the foot of the KOZUBOVÁ mountain (982 metres above sea level). The surrounding mountains and forests are ideal for family trips, mushroom picking and also for demanding hikes along mountain ridges. In winter, maintained cross-country ski tracks can be used. A small ski lift is available. Cyclists will like the place as well. There are several very well marked cycle trails. You can relax in the nearby modern indoor swimming pool. Upon agreement, horse rides and in winter sleigh rides are available. WiFi internet in the rooms and in the restaurant free of charge. Take a train to Bystřice (Frýdek-Místek district). From here it is possible to take a bus connection to Milíkov (bus stop is just in front of railway station), exit at "Milíkov, pila" bus stop. 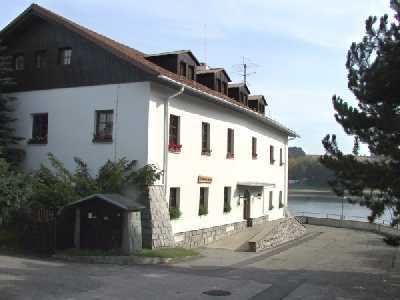 The Guest-House is situated approx. 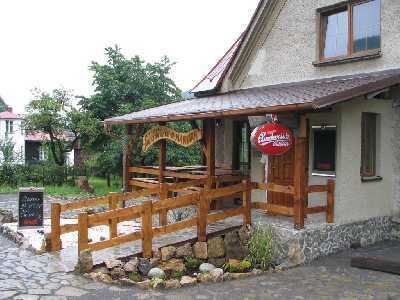 100 m far from the bus stop, by the road to Košařiska. Take a bus from Třinec to Milíkov (bus line Třinec - Bystřice -Milíkov) exit at "Milíkov,pila" bus stop. Continue the same walk as above. 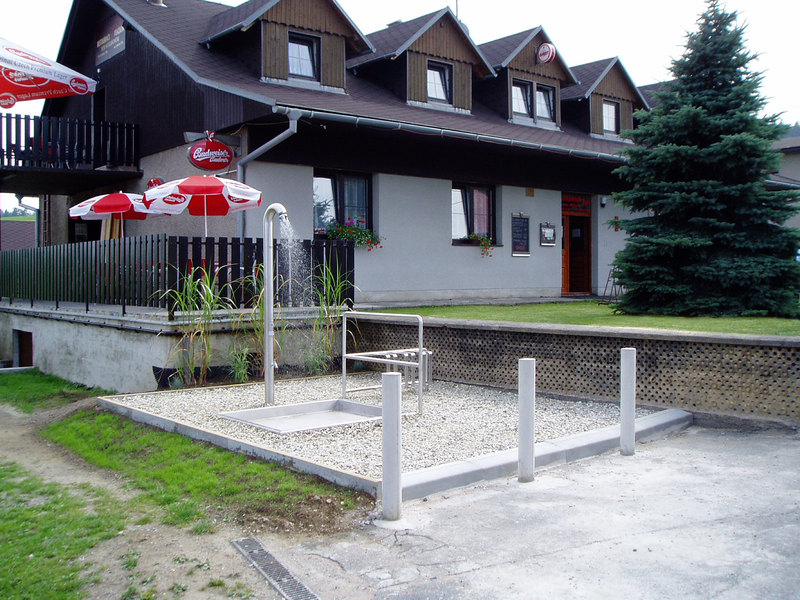 For wheelchair users reaching the restaurant by public transport may be difficult. The railway station is barrier-free (with a lift to all platforms), but there is no lifting platform available and barrier-free train is operating only in late night hours. Bus stops are not adjusted for level boarding/exiting, no low-floor buses operates on the line, no pavement from the bus stop to the Guest-House, slightly uphill ground, etc. Taking a car is recommended. From Třinec: take I/11 road in Jablunkov direction, in Bystřice village turn right in Milíkov direction. 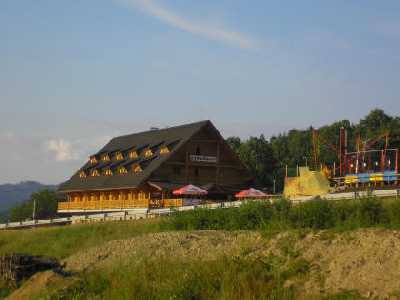 From the sign "Milíkov,pila" continue approx. 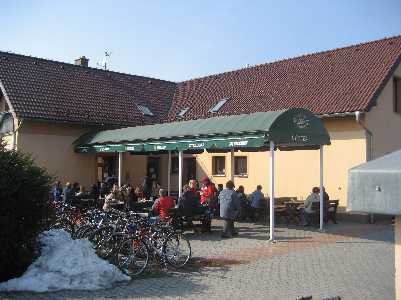 1 km in Košařiska direction. The Guest-House is situated approx. 100 m far from the bus stop and cross-road Bocanovice - Košařiska.